Reason for Windows XP - a specialized tool that allows you to recreate your home station for processing digital sound. The program can use analog synthesizers, various samplers, complement the track with a sequence of connected sequencers and mix creative projects. The application uses the company's intellectual knowledge and Rewire technology. The program has several versions, allowing you to select the necessary sound processing, based on the user's tasks. 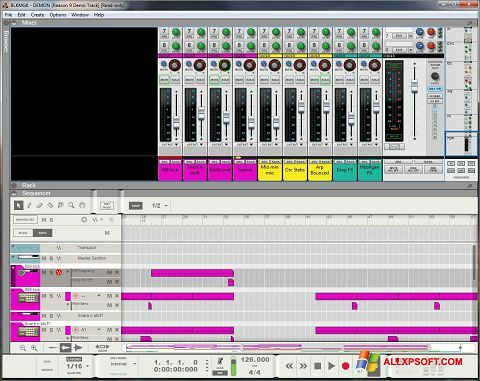 You can free download Reason official latest version for Windows XP in English.